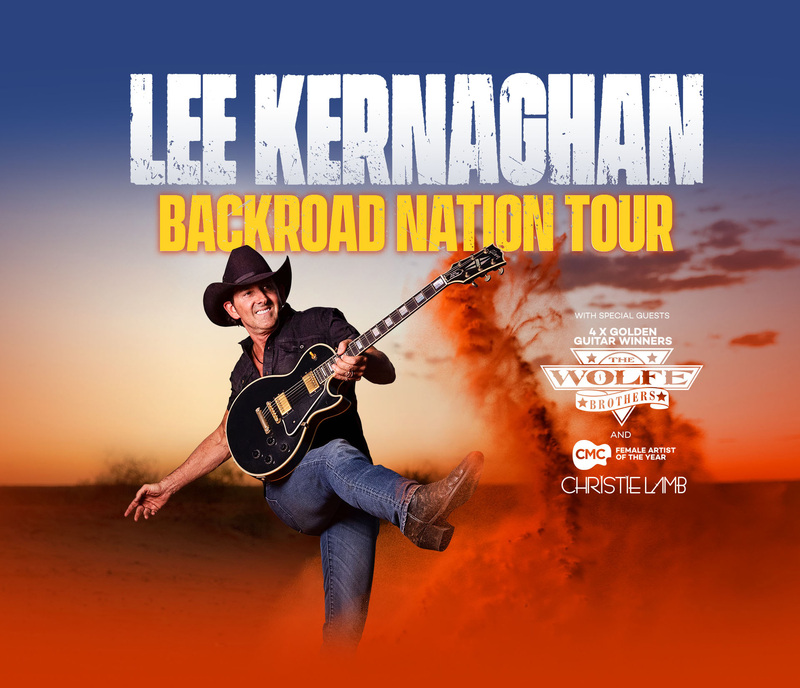 Following his sold out 25th Anniversary Tour Lee began turning his experiences out on the road into songs and a brand new album "Backroad Nation". Lee said "Backroad Nation is a celebration of us, our way of life and the people who make our country great. Much of the inspiration for the songs has come from the people I've met and the places I've travelled to from Alice Springs to the Deni Ute Muster, from the mighty Pilbara region in WA to backroads QLD and everywhere in between." Since the release of his mega hit Boys From The Bush, Lee has scored a plethora of hits with songs like The Outback Club, Hat Town, She's My Ute, Planet Country, Flying With The King, Australian Boy and Spirit Of The ANZACS - the highest selling Australian album of 2015. Fans are encouraged to book tickets early to secure their place to celebrate with Lee as he tours the country with his new album and incredible new show - Backroad Nation. Lee's Special Guests are the 2019 multiple Golden Guitar award winners The Wolfe Brothers and CMC's Female Artist Of The Year Christie Lamb. Lee's new album Backroad Nation will be released in May 2019 and the first single, Wheels, will be at radio early March 2019.